Barely making it onto my flight and being the last person on the plane I had to check my bag at the gate as there was no room in the inn overhead for my carry on. As I settled into the middle seat relieved and sweaty (I had to run through the airport) I was a little bummed to have to check my bag, only because I wanted to be home and in the company of my family as soon as possible and who wants to wait for a carry-on at the carousel (Isn't that the point of a carry-on? Well, that and not paying a fee). As I waited wearily for my luggage in the freezing throes of SeaTac I noticed a family surrounded by balloons and fanfare. Pretty good apparently, because I did know the family! 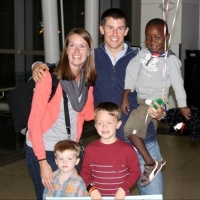 They had traveled much further than I and I'm sure they were so much wearier, but they were also more joyful, having just arrived from the Congo with their sweet little boy whom they have been waiting for for years. All of their faces were bright and smiling and though they had traveled many miles and many hours they seemed refreshed and at peace because they were together! I watched them from across the way for awhile, as friends and family gave hugs, said hello to the newest son and loved on the family. A boy had a mother, father and two brothers. A mother and father had three sons. A family complete, whole and sowing roots together. 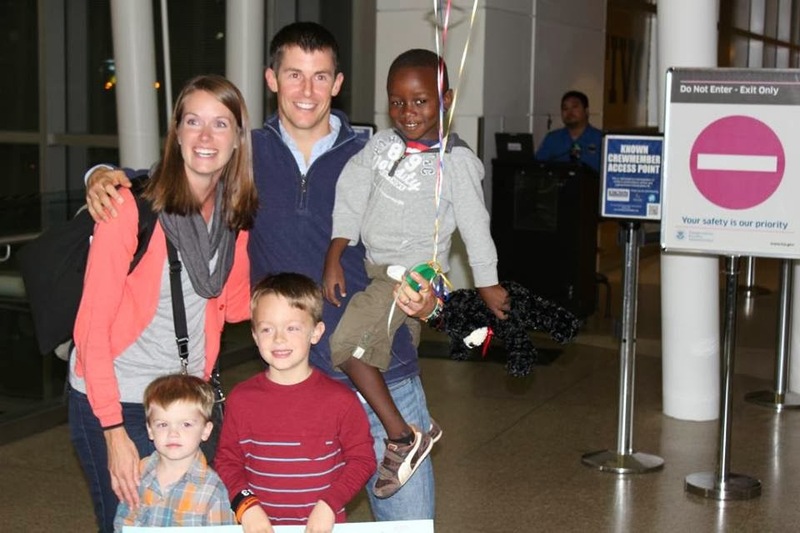 They know they have many joyful and tearful days/weeks/months/years ahead, but the sweet celebration of coming home will always be remember and cherished. As they were getting ready to leave I gave the mother a hug and then stepped back into the crowd so thankful I had been "inconvenienced" and had to check my bag. Otherwise I would have missed this holy homecoming.